Have you experienced Employment Tax Incentive Validation Errors? Have you experienced ETI Validation Rule Errors? 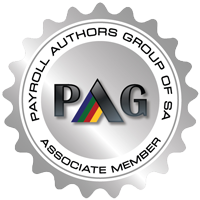 The Pay-As-You-Earn (PAYE) interim reconciliation closed on 31 October 2016. Some employers may have experienced Employment Tax Incentive (ETI) validation errors when submitting their Employer Reconciliation Declaration (EMP501) to SARS. We have provided guidance further down on how to resolve the recently encountered validation errors. Were your ETI certificates rejected? A number of employers were previously advised when submitting their Interim Employer Reconciliation Declaration (EMP501) for the reconciliation period 201608 that they had failed ETI validations and were requested to amend and resubmit the reconciliations. SARS has subsequently relaxed some of the ETI validations for this submission period to assist Employers. We have re-validated these reconciliations and if no additional errors were found, the declarations have been accepted. Should any additional errors be identified, employers will be informed through a “Notice of Employees’ certificates failing in terms of the Employment Tax Incentive Act” letter. These subsequent letters will be dated 2 November 2016 or later and letters prior to this date can therefore be ignored. Employers will be able to use e@syFileTM Employer or eFiling to review their Payroll Taxes Statement of Account (EMPSA) to ensure that their submissions have now been processed and that no other errors were detected. Note: For the year-end submission February 2017, all ETI validations will be reinstated and employers are accordingly advised to ensure that all conditions for claiming ETI are met prior to claiming ETI and submitting their Employer Reconciliation Declaration (EMP501) for the period of reconciliation 201702. How to resolve Employment Tax Incentive validation errors? The employee is a natural person who works directly for another person and receives remuneration from that other person and must have a valid South African identity document, Refugee identity document or Asylum Seeker Permit. The employee is between 18 and 30 years of age. This does not apply if the employee is employed in a Special Economic Zone (SEZ Code = Valid). Note: The age validation must take the month of birth into consideration, e.g. if the employee’s month of birth is April then the employer may only claim ETI from April going forward in the year the employee turns 18 and up to March in the year the employee turns 30. The employee receives a monthly remuneration of less than R6000. Qualifying period: The employee was employed on or after 1 October 2013. Employer not subject to wage regulating measures: The employee’s wage must be at least R2000 per month. Employer subject to wage regulating measures: The employee’s wage must not be less than the minimum wage prescribed by the relevant regulating measures. How to handle ETI validation errors on IRP5/IT3(a) certificates? If you received a message that one or more of your employees do not qualify for ETI, check the message centre of the channel used to submit the reconciliation for a letter listing the IRP5/IT3(a) certificates that failed the ETI validations. Please note that you have only 21 days (from the date the letter was issued) to rectify and resubmit the IRP5/IT3(a) certificates. Failure to do so will result in your ETI being recalculated and this may result in penalties and interest being charged on your PAYE account. Also note that any changes to the ETI on the IRP5/IT3(a) certificates may affect your EMP501 reconciliation. Please check that your EMP501 reconciliation still balances before submitting it to SARS. Contact SARS for further help? 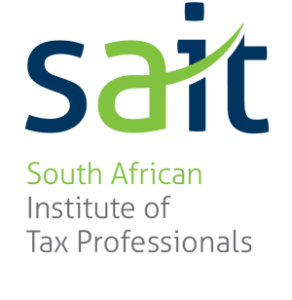 For more information concerning any aspect on the interpretation and administration of the employment tax incentive legislation, you may call the SARS Contact Centre on 0800 00 7277.